It’s important to know what the lights in your dashboard are trying to tell you about your BMW 4 Series. These dashboard symbols provide information that’s relevant to you while driving the roads of Westchester County, Yonkers, and Hartsdale. That’s why BMW of Westchester has compiled a guide to the BMW 4 Series dashboard symbols, explaining the most important ones and what you should do when they turn on. Continue reading to learn more about the lights and educate yourself about your car! This light will turn on when battery power is low. It may be time to replace the battery, which typically lasts about three years, give or take. The symbol itself looks like a battery with plus sign and minus sign. If this red light turns on, it means the battery is slowly losing the ability to power the car. It could also mean that the alternator needs to be replaced. Bring your vehicle to us, and we’ll test the battery to see if it’s still functional. If you see any signs of leakage around the battery terminals, a new battery may be needed. This light is shaped like a staff, with two wavy lines beneath it. If this red light turns on, the engine is overheating. Pull over as soon as you can, and put the car in neutral for a moment. If the engine is not cooling down, shut it down completely. It’s important to wait at least 15 or 20 minutes before checking under the hood. Check the terminal under the hood to see if there is enough coolant. If not, you may need to add some. It’s a good idea to keep coolant in your trunk. If coolant has been added and the light is still on, contact our service center. If your check engine light has turned on, you’ll see the small yellow engine icon in the dashboard area. It’s often that the problem could be minor, like a loose gas cap. 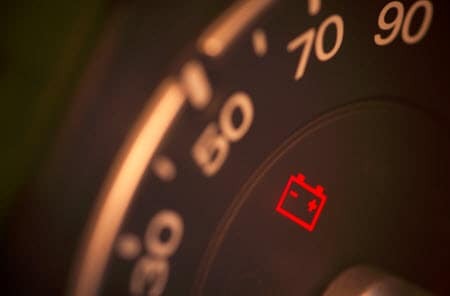 However, if you see the check engine light flashing, the engine may be misfiring, which could cause poor acceleration. Spark plugs may need to be replaced, or the ignition coil may need a look. Keep your vehicle at lower speeds and drive it to our service center as soon as possible. 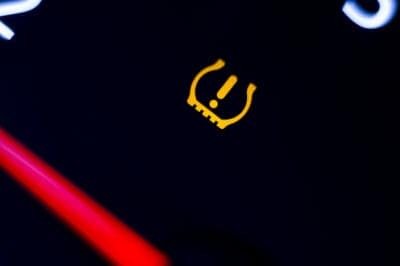 This yellow dashboard light, which looks like an exclamation point surrounded by parentheses, will turn on when the tire pressure in at least one tire is below the recommended level. It’s a good idea to check the pressure level in all four tires. Keep in mind that tire pressure can decrease with sharp drops in temperature, so check tires between summer and fall, and fall and winter. When the tires are filled properly, you’ll receive better fuel economy. There’s always a chance that when a dashboard symbol turns on, your BMW 4 Series may need service. At BMW of Westchester, we service the vehicles of drivers in Westchester County, Yonkers,Hartsdale, and surrounding areas. If you have any questions about the dashboard symbols in your car, reach out to us today. We’ll be happy to help!